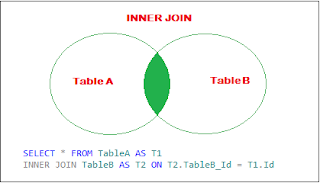 Home / create and drop temp table in sql server / Create Function in SQL Server / Sql server inner join / What is inner join in SQL? Why you use? What is inner join in SQL? Why you use? Inner Join returns the matched rows from both the tables. If both the keys are matched then return rows otherwise not!